Modular home builders in Maryland, California and several of the New England states understand the need to adapt their homes to get as close to Net Zero as possible but when I talk to modular builders and even factory people in the midwest and southern states, they tend to look like deer caught in headlights when I question them about it. That is what prompted me to ask Steve Lefler, VP of Modular Lifestyles in Orange County, California for help with an explanation. I am as much in the dark as many of you to exactly what terms like Energy Efficiency, Green, Net Zero, LEED and High Performance really mean and how to convey them properly to home builders. Steve, thank you for helping my readers to understand what is happening right now in California and what is probably heading their way as other states begin adopting tougher energy codes and regulations. 1. What do the term Net Zero, High Performance and Energy Star mean and are they interchangeable in the buyer’s minds? Simply put each term is specific to a group who is promoting vested interest brand or label. High performance although no label is mandated that I know of. It appears to really signify a measured performance to home buyers by a builder for marketing ( a list of known energy efficient items were placed into the home) which makes their home operate better than a standard. Whatever that builder standard is making a comparison. Energy Star is a Department of Energy label with a big message. Better is better. 2. Why is it important for modular builders to become energy specialists? A factory offers a controlled environment to control waste, efficient best practices to build a home to a measured standard. Their production testing using a Duct blower and the Door blower test ensures NO leakage. 3. Do the modular factories you work with have good energy options available or did you have to educate them? I am fortunate our company has many Factory built communities (Manufactured Home Communities) our image and perception are tarnished by the media and the public. However we leveraged our community’s needs for new houses with our desire to operate at less cost, improve the image of our communities using Net Zero manufactured houses and create a new business model for the future. The factories do not warranty or make any representation that their homes offer energy savings, are efficient or meet a Green code. 4. As a modular home builder, was it hard for you to have the factory switch from what they normally as standard specs to what is needed to be Net Zero or High Performance? We convinced them we are the customer and know what we want. If we are to purchase a home and place it within our communities; we will demand energy efficiency to a GREEN standard. We educated them to comply by using our choice of home ingredients. We reference our several Green Home awards to showcase our efforts for them to comply with our purchases. We do not ask them to participate in these award submissions or are given any credit since they are NOT making any representations or warranties to their home products. We consider them sub-contractors. We make the performance testing of our homes not them. Like the “Field of Dreams” if you build it they will come around. 5. How do you explain the upcharge for all this energy efficiency to your buyers? Home buyers fit into categories based on their knowledge of GREEN and are tuned in to operating costs, feel good attitudes to finish work choices that relate to the environment (sustainability) and want to know the builder cares about the home product they are selling to them. A home buyer will want a Test Drive. We give a Test drive by offering our previous home owners as a referral. Then we offer their 12 month utility bills to encouraging a conversation between the two. Once they get the conversation finished, it makes a real and powerful statement about the truth that emphasis our quality. They conclude the upgrade cost is amortized by the comparison of the years living in the home versus a neighbor who is a skeptic and did not purchase it. It is a Prius marketing tool from Toyota, I have one so why don’t you? It is a feel good purchase? A Modular builder has far less cost or installation implementation using GREEN material than a site builder due to volume; most subs are clueless to product knowledge or the installation procedures. Think Tesla and its current marketing of their electric car which is getting the publicity? 6. Maryland and California are at the forefront in Net Zero homes. How are site builders and other modular home builders in your state adapting to the new regs? The common misconception with site builders is Title 24 2020 Net Zero reality will not happen. They are ignorant to the reality when it started in 2009 with changes each year to the building code. The architects are calling on factories now to see if they can comply since General Contractors are stubborn or clueless and to the building department’s insistence. One of my HERS raters claims they fail so many homes by on-site builders that they feel pressure from the GC. Sadly, the homeowner will demand that their operating costs be known before they will purchase. 7. Who is in a better position to bring Net Zero to the new home buyer first, the modular builder or the site builder? 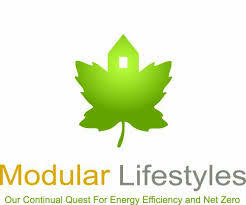 The Modular builder is the fastest way to Net Zero or Passively built houses. The low hanging fruit is there to be picked since the % is low for them to compete on the present level. Once achieved the modular builder can cookie cut the factory building processes for all building envelope to meet the climate with experience. A site builder will be inefficient in every build since different sub-contractors are creating inefficient building envelopes in each new climate from exposed elements. In addition to the inclement weather, limiting experience and homeowner awareness. A modular builder has an opportunity to create the market future. It seems complicated to build a Net Zero home. Where and how should a modular builder begin the process? In simple terms, a modular builder needs to understand the climate where the home will be built and build accordingly. The factory needs a certified HERS rater to monitor compliance in the assembly of home to that climate. In California, the California Energy Commission (CEC) created 16 climates for 16 regions by Zip Code. A computer model will address ambient air temperature changes for that locality for each home to be built and create a report. This new report (Title 24 Energy Efficient Report) sets the standard for the local building department when they issue building permits for that home. This report conditions the home build when a GC makes his submission and request an inspection. The building envelope will be inspected to the report. A GC needs a 3rd party HERS rater on site to validate and comply before the inspector arrives. Each of those Zip codes will have micro climates that can change the results of the energy efficient report by a few points. It can be reviewed and changes be made by the inspector. Overall it is a better house by building to a climate and not to a code standard. Newport Pacific Capital Corporation owns and operates Modular Lifestyles, Inc. We are a vertical company who owns and manages over 100+ Land Lease Communities, Apartments and RV Resorts. We have a development company who takes raw land and builds our communities for Modular Lifestyles to place houses. Modular Lifestyles was given Oak Haven a 3 acres parcel in Ojai, CA. with finished lots which had a mandate for homes sales to only 62+ seniors as prescribed by the Ventura County building department for Affordable housing in 2007. We convinced an East Coast couple to go into contract, design and build an energy efficient house in 2009, and we built for them our first factory built house which achieved only a $16 electrical bill for the 2010 year for this senior couple. We needed to fill the lots we invested at a period of time of horrible economy for housing. We wanted to bust the image and perception of factory built housing. This demonstration model has been on TV, Newspapers and events promoting our communities way of living all over the State including the Capitol West Lawn to government officials. I built my modular home in 2014 to achieve 2020 California Net Zero requirements with a PGE utility companies program. The California Public Utility Commission accepted it as a Case Study to show modular construction as an affordable means to meet their 2020 expectation for all residential builders. I had to prove to my future homeowners “I walk the walk and talk the talk” since they have asked through the years if our home product are so good why do you not live in one. #1 Reason for Net Zero for homeowners. California Utilities will be implementing to all residential user “Time of Usage” billing soon!